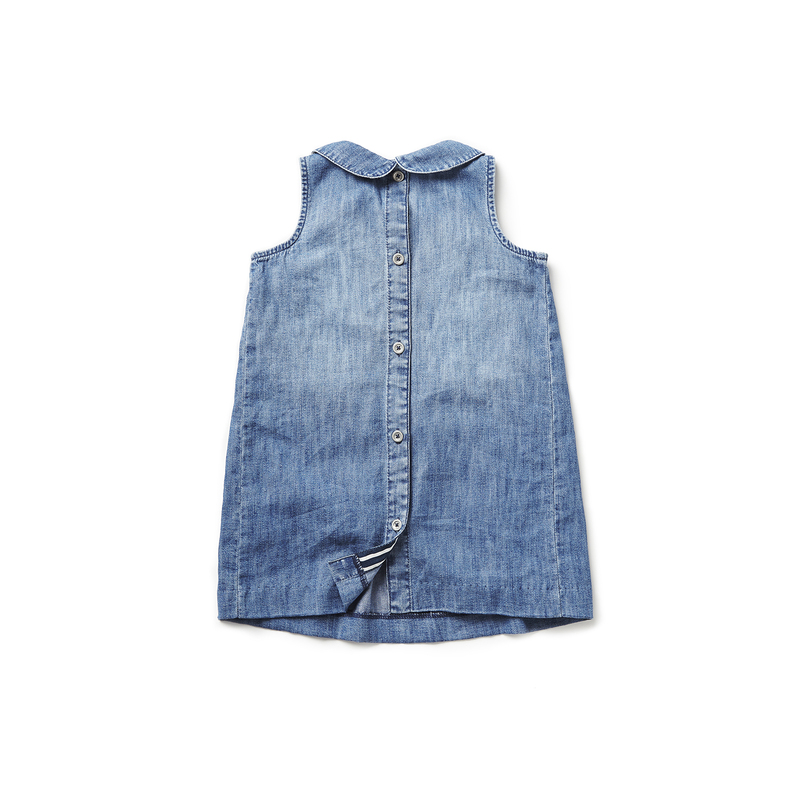 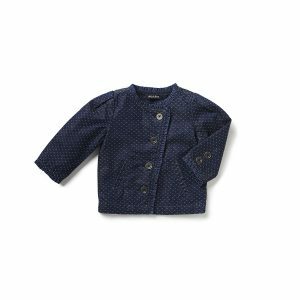 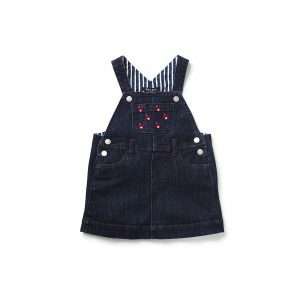 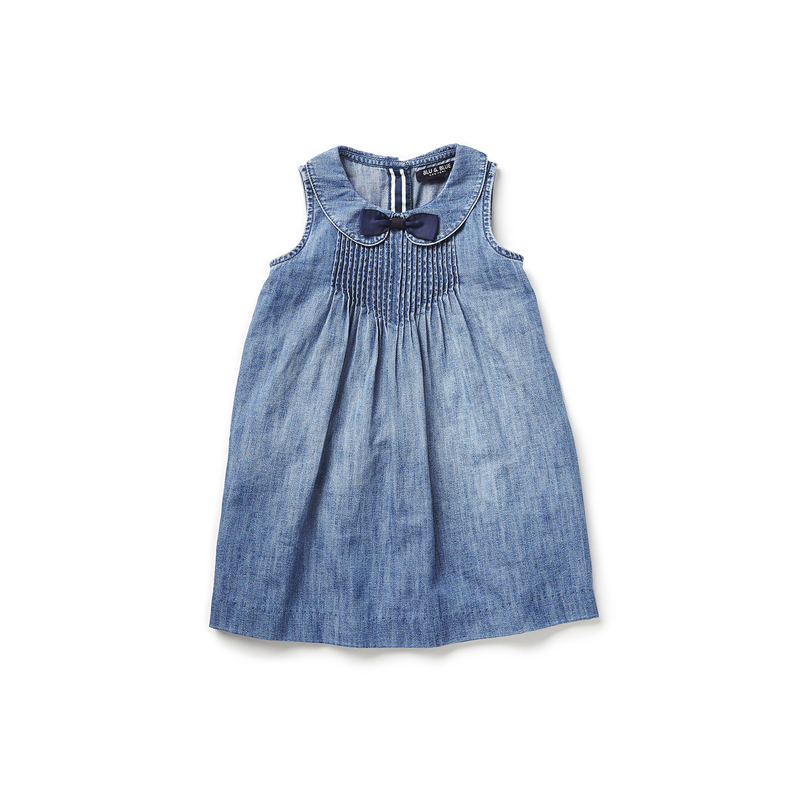 Practical and stylish, this elegant dress in soft denim fabric features a playful peterpan collar with bow detail. 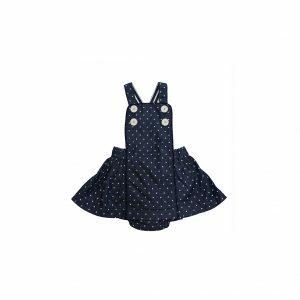 Elegant pintucks in the front and silver metal buttons at back adds extra charm. A simple, elegant choice for school events or a play date!